Most of the cloud server like Amazon provide PEM key file to access server . If we have a windows machine , so we can not connect to the server through pem file, we need PPK File format to connect to the server. Here we are using putty client to connect Amazon linux Server , so we need PPK file to connect server. (1) Download PuTTY Key Generator software from the follow location. (2) Open or Click on PuTTY Key Generator exe and click on the right side “Load” tab . 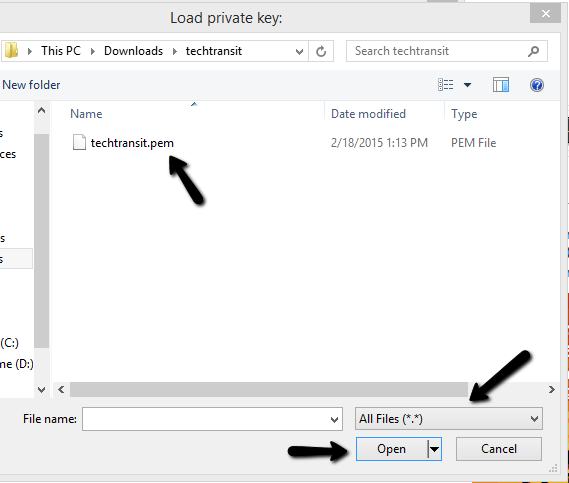 (3) Open or Click on PuTTY Key Generator exe Set the file type and PEM file location like below image and select PEM file and click on the open tab. (4) PuTTY Key Generator will detect configuration which it needs and we just need to click on “Save privated key” and Now save your save ppk key for use of PuTTy client. Now you can connect your Amazone EC2 Server using this .ppk file .